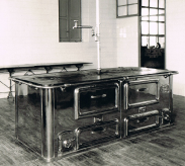 COCINAS BURAGLIA was founded in 1922 in the city of Valencia, Spain. 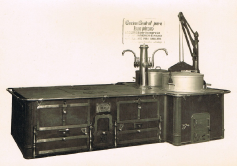 It started supplying furniture and equipment for domestic use. 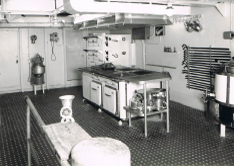 Decades later, in the late 1950’s the company changed its strategy and became specialized in the marine market which started growing rapidly together with the country’s economy supplying marine accommodation equipment and furniture for galley, laundry and pantry. Since 1990 the company has crossed borders and expanded its business through other European countries like France and the North Sea countries where the offshore business started to demand specialized products to meet the high standards required by their safety and quality rules. 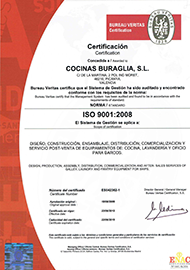 COCINAS BURAGLIA has an ongoing commitment to quality and has held certification to ISO 9001 standards since 2006. So far, the company has supplied equipment for thousands of maritime vessels. Our main objective is the satisfaction of our clients. This can only be achieved by fulfilling their needs and requirements, to obtain the best solution possible in each project. We achieve this objective thanks to our extensive experience in the maritime sector. We started our internationalization process in 1990 and since 2004 COCINAS BURAGLIA has been directing its focus on Asia and South America. Either through direct presence such as Brazil or strategic alliances such as Vietnam, Malaysia and India, we are introducing our products and expertise in the most important countries related to naval activity. Our aim is to create long term relationships with our customers. 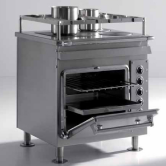 COCINAS BURAGLIA guarantees excellent quality throughout the product range. 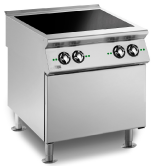 All of our products are guaranteed on both the components and the electrical supplies. For us, while it’s very important to have certifications, surpassing the standards that our clients expect from us is paramount. These standards are high enough to deliver furniture and equipment that complies with all the regulations of markets such as USPH, NORSOK, GOST, PECAL and so on. 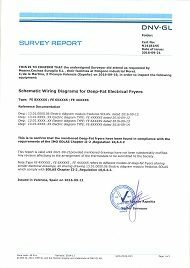 If requested, we can certify our equipment as per any standard required. 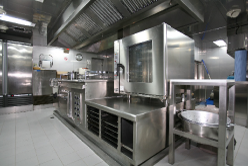 In COCINAS BURAGLIA we believe that there cannot be quality without safety. 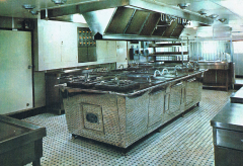 All of our industrial equipment intended for maritime use is designed with the hygiene and safety as key factors.